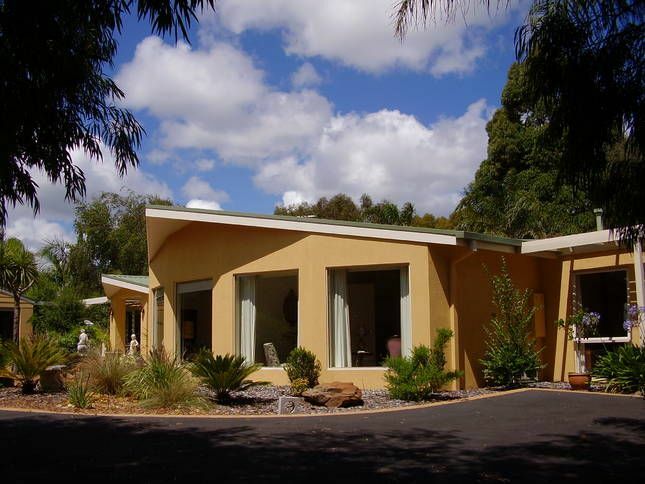 Welcome to Casylvilla, one of the most restful, relaxing retreats on the magnificent Mornington Peninsula. There is a French Provincial atmosphere at Casylvilla, with rows of Castlewellan trees, and even a sunny bistro table and chairs where you can take your afternoon tea as you enjoy a view of the gardens. The villa itself offers new, modern accommodation for two, with a comfortable sofa-bed extending availability up to four. The Queen size bedroom has an adjoining en suite, and the light filled sitting room, with views to the gazebo and outdoor spa , is airy and spacious.The sitting room also offers dining facilities and a delightful and efficient kitchenette. Your host Roger Ankers is a keen golfer who can advise and assist with bookings for nearby courses. Casylvilla is 5 squares of bedroom, ensuite and living room/kitchen. It has full reverse cycle air conditioning. The bedroom has a queen size bed, ceiling fan, electric blankets, clock radio and double BI Robes. The ensuite is fully tiled with pivot shower screen. The living room has a flat screen colour TV, DVD, Gas log fire and double sofa bed. The kitchen is equipped with fridge, microwave, crockery, cutlery and range of electrical appliances. All the outside facilities are for the exclusive use of one group of guests.